The medical team from ICR Department of Orbit and Oculoplasty published 3 papers in renowned international journals during 2015. We would like to highlight the work of Dr Núria Ibáñez as a main author and of ICR ophthalmologists Dr Sebastián Andrés Prieto, Dr Johnny Castellar and Dr Maria Carolina Bruzual. 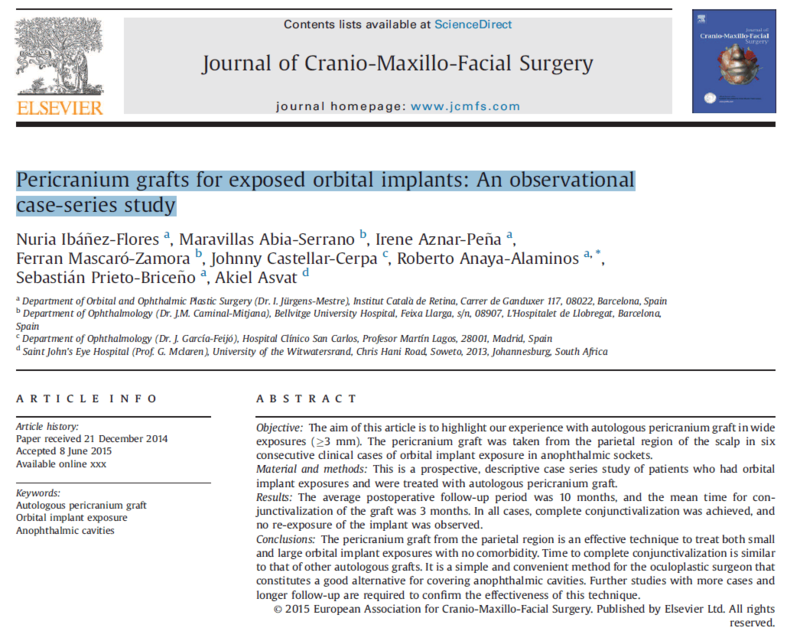 The first paper was published under the title “Pericranium grafts for exposed orbital implants: An observational case-series study”, published in the Journal of Cranio-Maxillo-Facial Surgery. The paper is based the use of a new graft (pericranium) in the treatment of exposures in anophthalmic cavities. 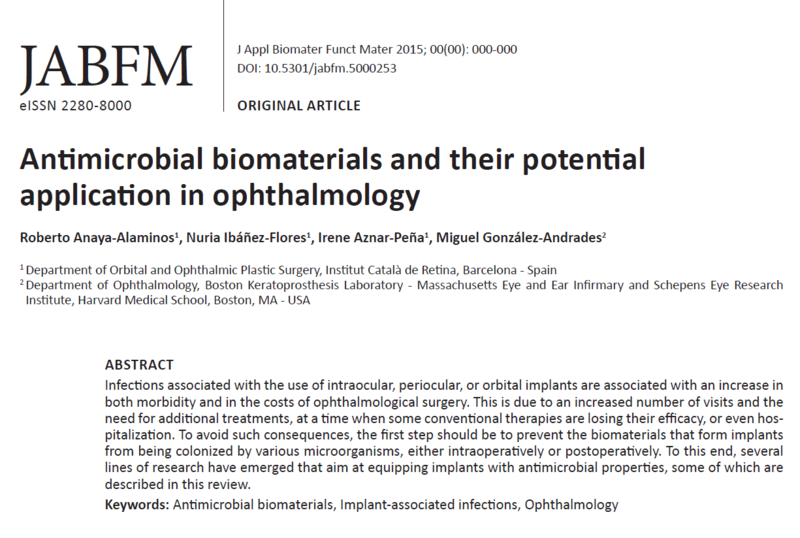 The second paper, entitled “Antimicrobial biomaterials and their potential application in ophthalmology” constitutes a review on the use of biomaterials in ophthalmology, and has been published in “JABFM: J Appl Biomater Funct Mater”, a highly renowned biomaterials journal. The third paper is a case report from a case image where a scleral perforation is seen after a plastic surgeon carried out a blepharoplasty. ICR determined the ophthalmologic diagnosis and treatment of the aforementioned complication. This case has been published by the French journal of ophthalmology (Journal français d’ophtalmologie) under the title “Ocular perforation post-blepharoplasty”.